NUX3 is an all-day event in Manchester focussed on how an understanding of people can help you define, design, and build better experiences, on the web and beyond. With international speakers from some of the biggest digital brands, the day will provide a wealth of practical experience you can apply right away. The event is organised by Northern User Experience (NUX) in conjunction with Manchester Digital. NUX is an informal volunteer-run community for people interested in usability, HCI, information design and all aspects of the user experience in the North of England. Our membership is as diverse as the field itself, with developers, designers, academics, usability specialists, accessibility experts and technical authors. Find out more about our regular monthly meet-ups in Manchester and Leeds over on http://nuxuk.org or by following @nuxuk on Twitter. NUX is a not-for-profit group of people based in Manchester and Leeds. We are doing this because we love our industry. This event would not have been made possible without the help of our very kind and very wonderful sponsors. If you’d like to sponsor NUX3 please contact drop us an email: nux@manchesterdigital.com. Auto Trader is the UK’s number one motoring digital marketplace with over 11 million monthly unique users, carrying out over 140 million searches on more than 400,000 new and used vehicles. Over 3.5 million people access Auto Trader via their mobile devices every month, through the mobile-optimised site and apps developed for iPhone, iPad, Android and Windows Phone 8. We have relationships with over 11,000 dealers in the UK and we work closely with them to improve and grow their business through our market leading range of products and solutions. 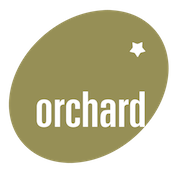 Orchard is the North of England’s largest Digital, Creative, and Marketing recruitment consultancy, with offices in Manchester and Leeds. We place talented people in freelance and permanent jobs. rentalcars.com is the world’s largest online car rental reservation agency – arranging over 4.7 million rentals a year in more than 24,000 locations worldwide. We employ almost 1,000 people from 73 countries in the centre of Manchester. Renting a car needs to be a seamless experience. Through intelligent design, we manoeuvre customers through our desktop, mobile and native app interfaces to find their perfect rental car to go exploring in over 180 countries. We are always looking to hire talented UXers who put the customer at the heart of their work. Need UX? Work with the best! Manchester’s multi award-winning UX agency, Keep It Usable, has some of the most highly experienced UX specialists in the UK to solve your challenges. Our clients include the biggest brands in the world whom we help with e-commerce, mobile, software, consumer products, future tech… we’ve even worked on James Bond’s mobile! Balsamiq is the maker of Mockups, the rapid wireframing software that combines the comfort and simplicity of paper sketching with the power of a digital tool, so your work is easier to share, modify, and get honest feedback on. Mockups look like sketches, so stakeholders won’t get distracted by little details, and can focus on what’s important instead. Mockups is available for the Desktop (Windows, Mac, Linux), as a hosted web service, or as a plugin for Confluence & JIRA. This is a book about everything. Or, to be precise, it explores how everything is connected from code to culture. In this spirited tour of information architecture and systems thinking, Peter Morville connects the dots between authority, Buddhism, classification, synesthesia, quantum entanglement, and volleyball. 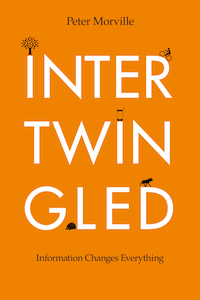 To learn more, look for Intertwingled on Amazon. Axure is a wireframe software that lets you generate clickable HTML prototypes that can viewed in any web browser. Use Axure to create lo-fi sketchy mockups or hi-fi prototypes with interactive elements like carousels, tab control, and dynamic error messages. Axure is available for Mac and PC, with pricing from $289 to $589. InVision is a prototyping, collaboration and workflow platform for design teams. InVision helps countless agencies, startups and beloved brands like Adobe, Zappos, Evernote, Airbnb, Uber and more create better, smarter, more beautiful web & mobile experiences. How many times have you been waiting on a client or copywriter to hand over the content your project needs — or had a team mate trying to make sense of a big, badly-formatted Word document when they are pasting content into the CMS? What if you could avoid the usual headaches on your web projects? GatherContent is a content-first solution that helps agencies and their clients plan, organise and collaborate on website content. Pre-CMS. The best books and video courses from the brightest minds. Uber is evolving the way the world moves. From its roots in 2009 to launching in over 160 cities worldwide in 42 countries, Uber’s rapidly expanding global presence continues to bring people and their cities closer. In Manchester, Uber is easy and convenient – no waiting out in the rain for the driver to arrive, no fumbling around for cash, and you can even charge your phone. It’s also fantastic value for money: Up to 40% cheaper than a black cab (with a lot less sliding around in the back). Check out the prices and pick-up coverage map on the city page, and if you want to share the cost with friends – why don’t you fare split? 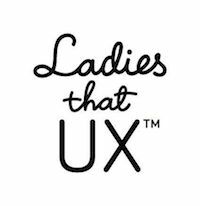 Fancy meeting other women for a good old natter about UX and life in general? Then Ladies that UX is for you. Not got UX in your job title? No problem. If you’re inquisitive, enthusiastic and interested in making the world a better place for users, you’re one of us. Ladies that UX are a friendly, welcoming and collaborative community, with a growing number of local groups based in cities worldwide. So far, you can find us in Manchester, Brighton, London, Austin, Madrid, Portland, Auckland, Bristol, New York, Melbourne, Boston, Belfast, Stockholm, Detroit, Barcelona and Dublin! LadiesthatUX.com / Twitter.